General Tipton Cage Clamps are precision built to provide accurate alignment on even the toughest jobs. It is easy to use and install. Hand lever, Ratchet, or Hydraulic style clamps will meet your demands. The tack design features flat cross bars and the no tack design features arched cross bars to allow 360 degree welding capabilities without removing the clamp. Both designs are available with stainless steel contact points. Simple, quick and easy to setup for accurate alignment. The Hand Lever Cage Clamp is simple, quick and easy to use! It has been an industry standard for over 50 years. This clamp ranges in sizes from 2″ to 60″. 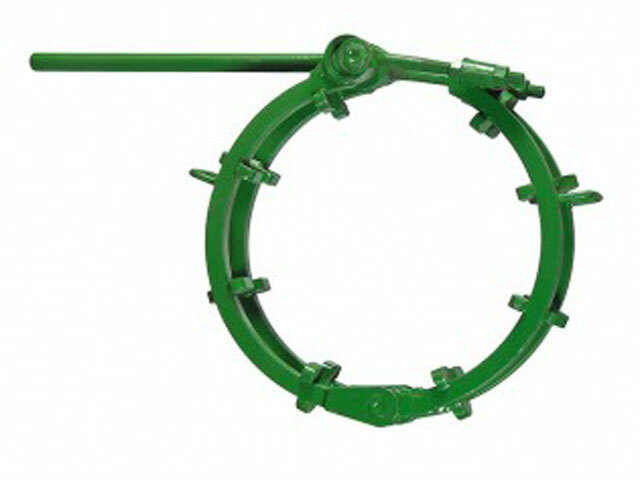 The Hydraulic Cage Clamp is available in pipe sizes 16″ to 60″. The clamp pulls down tight with a hydraulic jack for effortless pipe alignment. The hydraulic closure mechanism on this cage clamp also enables rapid release after welding. The Ratchet Cage Clamp’s precision cut Acme thread design delivers both strength and ease of operation. 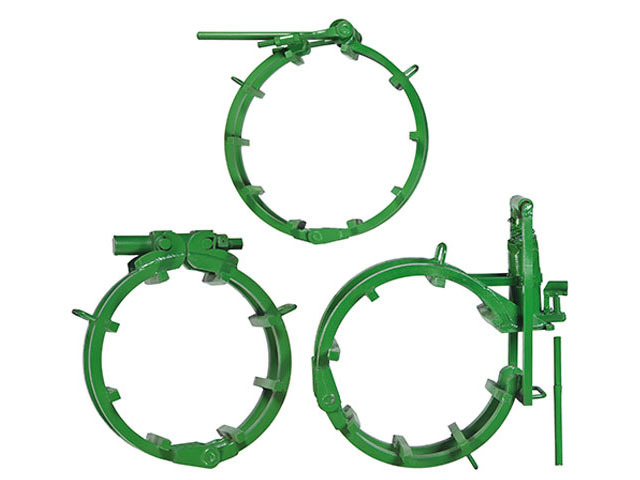 This clamp ranges in sizes from 6″ to 60″. A standard 1″ ratchet wrench fits all clamp sizes.